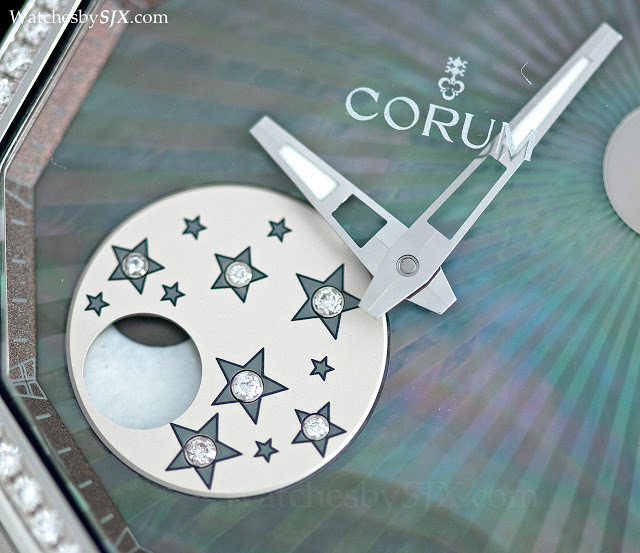 With Laurent Besse of Artisans Horlogers (he helped created the MB&F HM4 Thunderbolt) on board, Corum is beefing up its range of complications and high horology to go beyond the trademark Golden Bridge. Launched this year is the simple but unusual Admiral’s Cup 38 Mystery Moon. 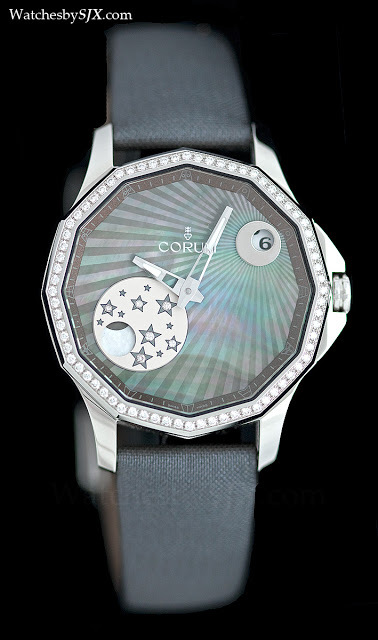 This is a 38 mm ladies’ watch with a wandering moon phase. 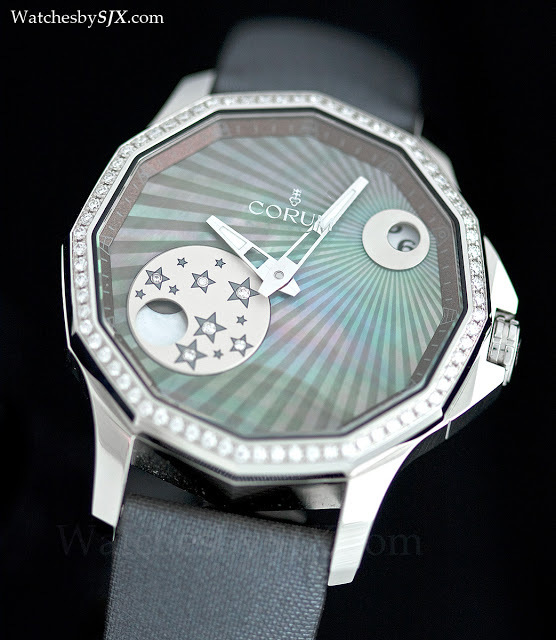 Once a day, the mother of pearl dial, which is decorated with a sunburst guilloche, turns to show the correct date as well as moon phase. In other words the dial rotates 31 times a month. Though not exceptionally complicated, this is a clever take on a well worn function. The case retains the classic 12 sided shape of the Admiral’s Cup line, as well as the maritime pennants on the dial, though these are much more subtle than in the nineties when the Admiral’s Cup was popular.